Nas, a legend, a boss, a kingpin in this music industry. You want to talk new York music, you want to talk real music, you want to talk Nas. The Wrap-Up Magazine has looked at what videos are being posted and came up with the Top 5 music videos of Nas. Nas made a great comeback with this hit song. I Can" is the second single from the Nas album, God's Son. He should Be His Era's Best Rapper but more often than not He is all over the place. How heavy do one man feel in his heart. "One Mic" is a song by American rapper Nas, released April 16, 2002 on Columbia Records and distributed through Ill Will Records in the United States. On point, flat out! "Hate Me Now" is the second and final single by rapper Nas featuring Puff Daddy, from Nas' third studio album I Am. 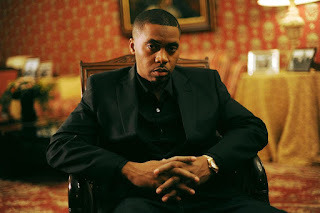 New York rapper Nas premiered his controversial music video for the song, "Hate Me Now" on MTV. Now this is Nas at his best. "Made You Look" is the first single from Nas' 2002 album, God's Son. Built around several samples lifted from the Incredible Bongo Band's "Apache." Every genre has its own way of going to loud and heavy extremes. But rap production has a somewhat abstract set of criteria for judging. "Got Ur Self a Gun" also known by "Got Ur Self A..." for the clean versions of the album and single respectively, is the second single from the 2001 album Stillmatic by the American rapper Nas.